Capt William F. Gibson, a Confederate soldier from Arkansas, was wounded in the face and stomach at the Battle of Franklin, November 30, 1864, fighting around the Carter Cotton Gin with Cleburne’s Division. Lying wounded and bleeding on the field, he was saved by a Union soldier, who recognized he was a Mason. Gibson was carried to the doorstep of the Cummins’s House in Franklin where he was found by a young single woman named Laura Sowell who was visiting her uncle at the time. Miss Sowell was from Columbia and single at the time. Laura nursed William these first few days and they eventually fell in love, writing letters to one another right after the Franklin conflict, and even 30 years later. They never married. William was shamed by his disfigured wounds from Franklin and did not think he was good enough for Laura. 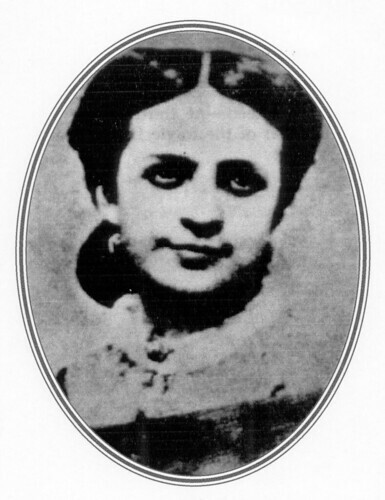 She later married a prominent businessman in Columbia, Tennessee. Here are some pictures of the former Cummins’ home now located at 403 Cummins Street just a little south of downtown Franklin, very close to the Lots House. Confederate William F. Gibson, 8th Arkansas Infantry, was wounded in this vicinity where the original Carter cotton gin was positioned, and was found the next day by a Union soldier who noticed William wearing a Masonic pin. 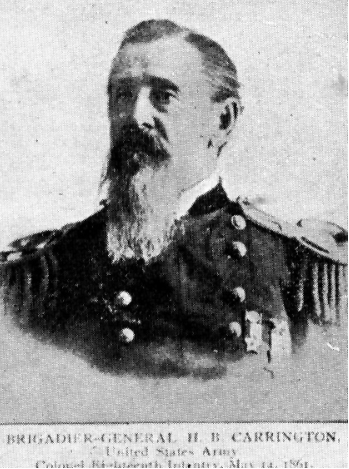 The Union soldier carried the wounded Gibson to the home of Dr. Cummins (pictured above) where he was cared for and tended by local Miss Laura Sowell, whom he fell in love with. The following was written by nineteen-year old Fannie in March 1865, four months after the Battle of Franklin, at the request of E. Root, Esq., U.S. Sanitary Commission in Nashville. It was part of “The Sanitary Reporter,” U.S. Sanitary Commission, April 15, 1865, p. 181-182. It has appeared in numerous newspaper over the years, including the Boston Gazette and the Cincinnati Enquirer, among others. Fannie Courtney was a strong Union sympathizer despite having a brother and cousin riding in Gen. Nathan Bedford Forrest’s regiment. Shortly after the war, she married Lt. Col. George Grummond, U.S. Army, and went with him to Fort Phil Kearny, where he was killed by Indians. Later, she married Colonel Henry B. Carrington and enjoyed the benefits of being the wife of a senior officer. I hasten to give you an account of the Battle of Franklin, together with a statement of the facts concerning the hospitals and the wounded during the stay of the Rebels, a period of seventeen days, after the Battle. The details of the memorable engagement of November 30th will, of course, be according to my opportunity for personal observation, while terror stirred my soul. The other facts transpired in calmer moments, when my heart was filled with a holy sense of duty toward the suffering. On the morning of the 30th of November the retreating army arrived at this place, tired and many almost exhausted. But, notwithstanding this, they commenced immediately throwing up breastworks. You would have been astonished to see how quick the work was completed… We felt great uneasiness of mind, fearing that there would be a great battle…. About 10 o’clock suddenly the firing ceased for a few minutes. I heard persons in the sitting room above. 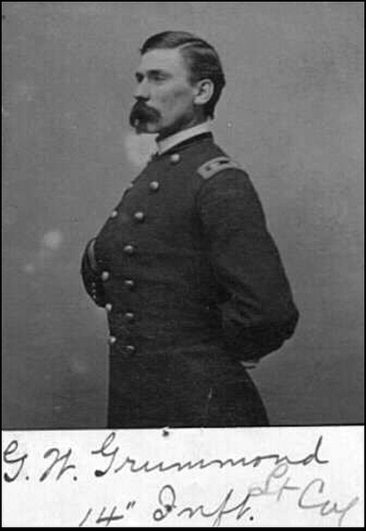 It proved to be some Federal officers off duty for a time, who stopped to let us know how the Battle was going…I heard an awful groan, and within a few yards of me lay a Federal soldier who, (I supposed, had been wounded a short time before the firing ceased.) I sent one of the soldiers out to look after his comrade and to give him water. But he did not have to remain long; the wound proved to be mortal, and the poor man soon expired. Another desperate charge! Such yells! I can never forget wounded Federal soldiers came in from the battlefield, and stopped in the yard, for they could go no farther. I called to the men outside to bring them into the cellar. Two were slightly wounded. The third was struck in the arm, and the main artery was cut. He was bleeding profusely. One of the neighbors ran up at the risk of his life and brought a bucket of water. My mother had some cotton near, I poured water on the wound for some time. I then put cotton on each side where the ball entered and came out, bound it up with my handkerchief, and with two others belonging to my sister and little brother, made for him a sling. He lay down to rest, but complained of being cold from loss of blood. I had nothing to cover him with. What was I to do? A thought struck me. I took off my woolen skirt and tucked it around him. His comrades decided to try to overtake an ambulance with him, and I suppose they did, as they did not return. position of our forces, and consequently the fighting was more terrible. Several buildings were consumed, but thanks to a kind Providence, the fire was extinguished by the timely interference of soldiers, assisted by citizens. About thirteen charges in all were made by the Rebels. At midnight the Federal Army began to retreat, the wagon trains being safe, and gradually the firing ceased. Oh! How grateful to God we felt that it was over… Then we emerged from our place of refuge. I dragged beds into my mother’s room for us to rest there, as we wished to spend the remainder of the night of terror together. I could not sleep, for I longed to go to the battlefield to alleviate [lessen] suffering [and] do all in my power to make the wounded more comfortable until they could be brought to hospitals. Early the next morning after the Battle I went to the field. The sight was dreadful. It seemed that I could scarcely move for fear of stepping on men either dead or wounded. Some were cold and stiff, others with the lifeblood ebbing out, unconscious of all around, while others were writhing in agony, calling, “Water! Water!” I can hear them now. … I could not look upon such sights long, but hurried back to care for the wounded. There were forty-four hospitals in total— three for the Federal wounded and the rest for the Confederates. Red flags were waving from unoccupied dwelling, the seminaries, churches, and every business house in town. My Mother and I took charge of a hundred and twenty wounded men, who occupied the Presbyterian Church, it being the largest Federal hospital, and with what we could spare assisted at another which was in a house owned by my mother and near our own home. When we first went to the hospital, the wounded men told us they had nothing to eat for two days. We first furnished them with bread, meat and tea, and coffee, every little luxury we could prepare, for several days. Then they drew scanty [very little] rations from the Rebels, flour the color of ashes and a little poor beef not suitable for well men, much less for wounded. All the cooking was done, and in truth, everything eatable furnished, at our house.